For every film you remember, you forget a thousand. This is a book about some of those forgotten films; not lost classics, but movies that deserve their fate in the trash bin of history. From The Wild Angels in 1966 until its conclusion in 1972, the cycle of outlaw motorcycle films contained forty-odd formulaic examples. Despised by critics but welcomed by exhibitors, these cheaply and quickly made pictures were produced to appeal to audiences of under-educated mobile youths. Plagiarizing contemporary films for plotlines, the cycle reveled in a brutal and lurid sensationalism drawn from the day’s headlines. Disreputable and interchangeable these films may be, but their lack of cultural legitimacy and low ambition is a large part of the rationale for this study; inviting questions about seriality and film cycles that are otherwise ignored in histories of 1960s and 70s American film. Hoodlum Movies explains why these films were made, who they were made for, and how the cycle developed through the second half of the 1960s before coming to a shuddering halt in 1972. Explosive! Amazing! Terrifying! You won’t believe your eyes! Such movie taglines were common in the 1950s, as Hollywood churned out a variety of low-budget pictures that were sold on the basis of their sensational content and topicality. While a few of these movies have since become canonized by film fans and critics, a number of the era’s biggest fads have now faded into obscurity. The Cool and the Crazy examines seven of these film cycles, including short-lived trends like boxing movies, war pictures, and social problem films detailing the sordid and violent life of teenagers, as well as uniquely 1950s takes on established genres like the gangster picture. In the words of Richard Maltby . . . "Maximum Movies--Pulp Fictions describes two improbably imbricated worlds and the piece of cultural history their intersections provoked." One of these worlds comprises a clutch of noisy, garish pulp movies--Kiss Me Deadly, Shock Corridor, Fixed Bayonets!, I Walked with a Zombie, The Lineup, Terror in a Texas Town, Ride Lonesome--pumped out for the grind houses at the end of the urban exhibition chain by the studios' B-divisions and fly-by-night independents. The other is occupied by critics, intellectuals, cinephiles, and filmmakers such as Jean-Luc Godard, Manny Farber, and Lawrence Alloway, who championed the cause of these movies and incited the cultural guardians of the day by attacking a rigorously policed canon of tasteful, rarified, and ossified art objects. Against the legitimate, and in defense of the illegitimate, in an insolent and unruly manner, they agitated for the recognition of lurid sensational crime stories, war pictures, fast-paced Westerns, thrillers, and gangster melodramas were claimed as examples of the true, the real, and the authentic in contemporary culture--the foundation upon which modern film studies sits. Writing in the late 1930s, New York journalist Joseph Mitchell observed: "Except for the minstrel show, the strip act is probably America's only original contribution to the theater." In Body and Soul, Peter Stanfield's arguments echo Mitchell's observation. Stanfield begins by exploring how Hollywood used blackface minstrelsy to represent an emerging urban American theatrical history, and ends with a look at how American film at the close of the studio era represented urban decay through the figure of the burlesque dancer and stripper. 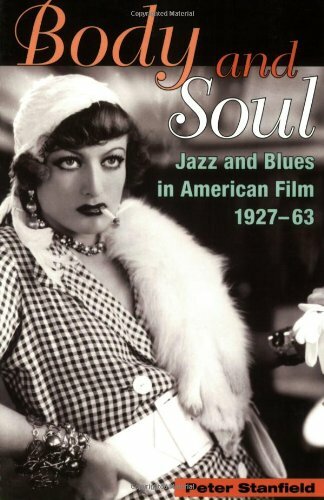 In between, Stanfield considers the representation of American urban life in jazz, blues, ballads, and sin-songs and the manner in which the film studios exploited this "gutter" music. In this innovative take on a neglected chapter of film history, Peter Stanfield challenges the commonly held view of the singing cowboy as an ephemeral figure of fun and argues instead that he was one of the most important cultural figures to emerge out of the Great Depression. The rural or newly urban working-class families who flocked to see the latest exploits of Gene Autry, Roy Rogers, Tex Ritter, and other singing cowboys were an audience largely ignored by mainstream Hollywood film. Hard hit by the depression, faced with the threat--and often the reality--of dispossession and dislocation, pressured to adapt to new ways of living, these small-town filmgoers saw their ambitions, fantasies, and desires embodied in the singing cowboy and their social and political circumstances dramatized in "B" Westerns. For the first time, this book tells the 'lost' story of the 1930s Western. Written from a concern to understand Western films primarily as products of Hollywood's studio system, it recovers the context in which Westerns were produced, exhibited and viewed in the 1930s. Peter Stanfield highlights the hitherto marginalised 'B' or 'series' Western, the significance of female audiences, the role of independent exhibitors and of censorship in shaping film production. The concept of ""un-Americanism"", so vital to the HUAC crusade of the 1940s and 1950s, was resoundingly revived in the emotional rhetoric that followed the September 11th terrorist attacks. Today's political and cultural climate makes it more crucial than ever to come to terms with the consequences of this earlier period of repression and with the contested claims of Americanism that it generated. ""Un-American"" Hollywood reopens the intense critical debate on the blacklist era and on the aesthetic and political work of the Hollywood Left. In a series of fresh case studies focusing on contexts of production and reception, the contributors offer exciting and original perspectives on the role of progressive politics within a capitalist media industry. Sinister, swaggering, yet often sympathetic, the figure of the gangster has stolen and murdered its way into the hearts of American cinema audiences. Despite the enduring popularity of the gangster film, however, traditional criticism has focused almost entirely on a few canonical movies such as Little Caesar, Public Enemy, and The Godfather trilogy, resulting in a limited and distorted understanding of this diverse and changing genre. Mob Culture offers a long-awaited, fresh look at the American gangster film, exposing its hidden histories from the Black Hand gangs of the early twentieth century to The Sopranos. Departing from traditional approaches that have typically focused on the "nature" of the gangster, the editors have collected essays that engage the larger question of how the meaning of criminality has changed over time. Grouped into three thematic sections, the essays examine gangster films through the lens of social, gender, and racial/ethnic issues.